One of the aspects that stuck out for me the most at this year’s Canadian History and Environment Summer Symposium was the constant, enduring, and often unspoken presence of women and women’s work on the Prairies. 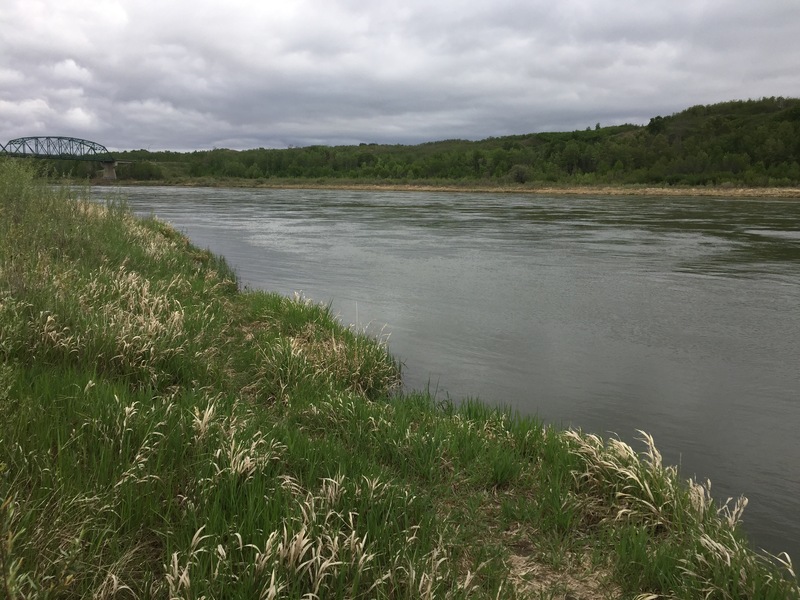 The CHESS 2018 field trips took us to Blaine Lake, Rosthern, Gabriel’s Crossing, Saskatoon, and various places in between. At each of these locations the imprint of women’s presence on the landscape was both omnipresent and obscured. I was excited to attend this year’s CHESS as a chance to learn more about the region that I lived in for six and a half years as a PhD student at the University of Saskatchewan. I realised quite quickly how little I had actually ventured outside the confines of Saskatoon itself and therefore it was quite the journey of discovery, even if we were never more than an hour’s drive from the city. The Seager Wheeler Farm and the Saskatoon Forestry Farm illustrated the 20th-century imperial scientific networks that I had not known were in my own backyard. Once we reached Blaine Lake we were welcomed into the Doukhobor Prayer Home, for keynotes, talks, singing, and lunch. The sheer amount of food was amazing! 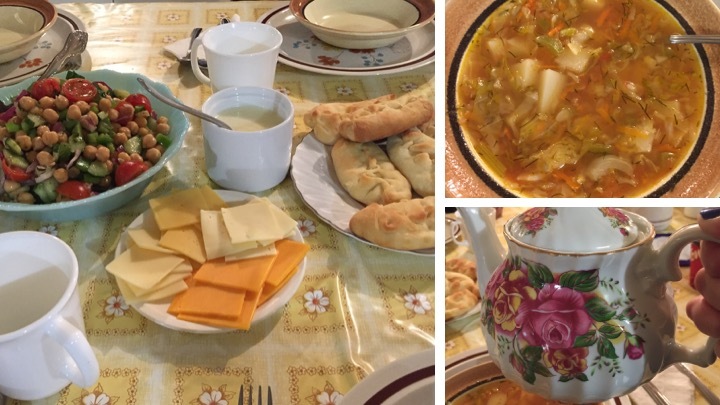 Borscht, pastry with either bean or cheese filling, cheese, bread, salad, and tea. Followed up by three desert options including the to-die-for pirozhki in raspberry or Saskatoon berry flavours. I will confess to eating one of each desert. The small kitchen at the prayer home bustled with activity and food continued to come out of containers, pots, and ovens long past the point of fullness. In fact so many fruit filled pastries were packed for us to take back on the bus with us that they were still nourishing us at the workshop two days later. While the food was amazing in and of itself, the work that went into producing it was just as remarkable. Each of the hundreds of pastries was skilfully handmade – and while I was eating my third pirozhki, I reflected on the work of women and their historical and contemporary imprint on the prairie landscape. 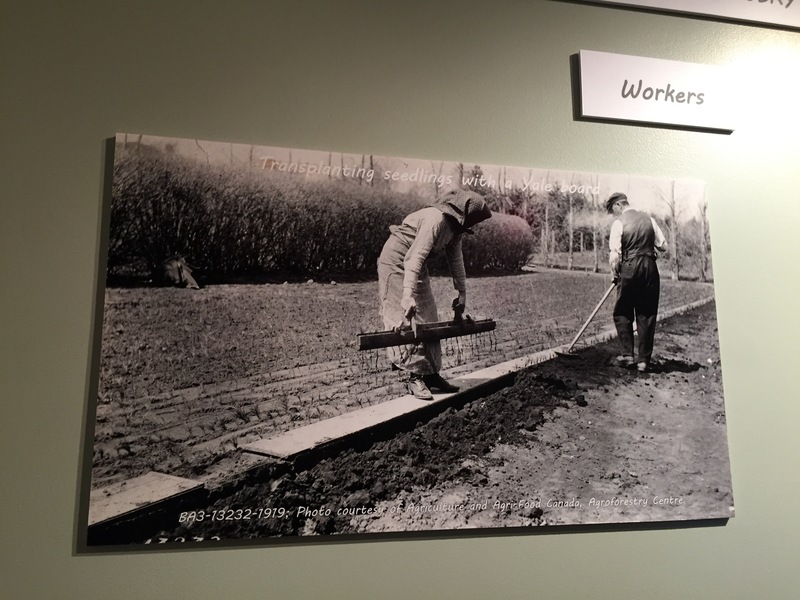 Women, through their work and their skill were a crucial part of the success of communities and homesteads. Later in the afternoon we headed to the Seager Wheeler Farm near Rosthern. 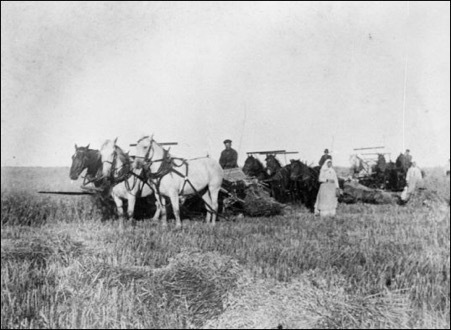 Seager Wheeler, as Peter Anderson detailed in his post, was famous for developing Marquis wheat. We toured the national historic site before heading into the farm house to eat pie and talk about imperial science with Dr. Anderson and Larry Epp. 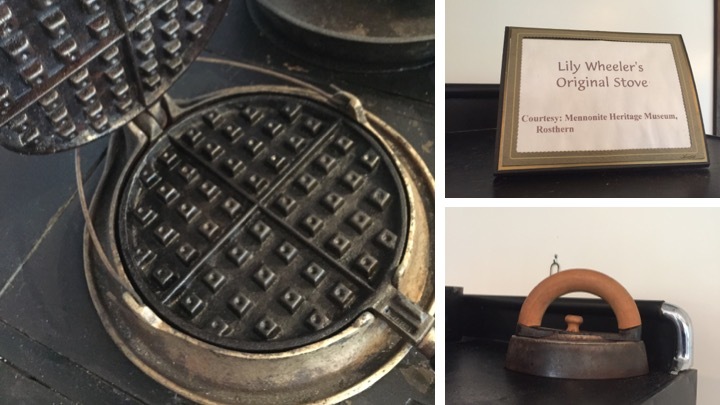 The farm house featured several artefacts from the Wheeler family including Lily Wheeler’s stove and cooking implements. Lily Wheeler (neé Martin) married Seager in 1908, three years before Marquis wheat won the New York Land Show prize. The enduring presence of women within the prairie landscape continued at Gabriel’s Crossing, so named for the ferry operated by Gabriel Dumont. 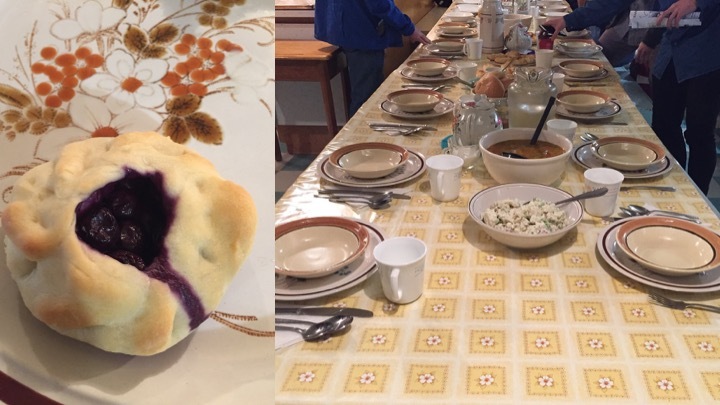 We were treated to Métis fiddling, jigging lessons, more fantastic food, and storytelling. When a Métis jigger wanted to challenge another dancer he would throw down his sash in front of the other. These sashes, still one of the most visible parts of Métis culture, were the work of women, as was the bannock we ate. Our time at Gabriel’s Crossing reinforced what for me was one of the themes of the day, the importance of women on the prairie landscape, across cultures and times. The morning of our second day saw us visit the Saskatoon Forestry Farm and Zoo. The Forestry Farm, was originally known as the Sutherland Forest Nursery where saplings were raised and sent to farmers for use in shelter belts along with ornamental varieties to beautify the farm yard. In 1931, the Forest Nursery sent out three million saplings primarily from the nearby Sutherland railway station. Again women were important to the operation of the forest nursery as they harvested saplings, stored them for winter, and helped to package them for shipping. CHESS 2018 provided me with many opportunities to learn more about the environmental history of Saskatchewan, but the summer symposium did more than just educate me on the history of the place in which I had lived. My CHESS experiences illustrated the interaction between women and the landscape, how they shaped that landscape, and how it in turn shaped them throughout the long-twentieth century. I encourage us all to reflect on the unnamed and often unremarked upon presence of women in the stories we tell and the landscapes we encounter as environmental historians. AMS Postdoctoral Fellow at the Wellcome Unit for the History of Medicine, University of Oxford. Studying late 18th and early 19th-century military and naval medicine, nursing, and hospital ships.